Did you ever have a teacher in grade school that would tell you to be fair and considerate, but who also totally played favorites? Or what about a friend who promised you a ride home after band practice, but then ditched you to go hang out with the basketball team? Sure you did. We all did. And guess what, even though you’re all grown up, people are still going to do that to you—case and point, Stephen R. Covey. Well, author Stephen R. Covey may not be directly doing that to you, but he’s definitely not practicing what he preaches. Covey, who teaches the values of fair and honest business and social practices, has made a deal with Amazon allowing them exclusive rights to several of his business books. 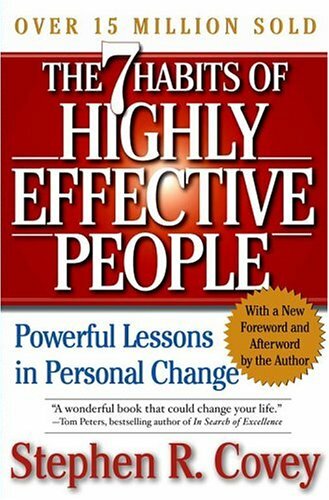 That’s right, several of Covey’s books, including “The 7 Habits of Highly Effective People,” will be sold exclusively through the Amazon e-book store for Kindle devices. Why is this not a “win-win” as Covey would describe it? Well, mostly because this deal is further pushing publishers and booksellers out of work. A top selling author just completely bypassed traditional publishing houses to “ink” a deal with an e-book retailer—what does that tell you about the rise of technology? According to the New York Times, this move could set apart Amazon’s online book store from its competitors. We mean no offense to Covey–you do what you got to do– but the situation is rather humorous. Covey preaches the “win-win,” as in everyone should win, side of business and then he makes an exclusive deal with Amazon. But we don’t blame him, surely Amazon will cut Covey a greater share of profits than a publishing house will. But seriously, it’s the Kindle, Covey. Couldn’t you have opted out for the Barnes & Noble Nook? At least that way you wouldn’t be making the traditions of authorship and book publishing as obsolete.